Inside last year’s course book you will find a full month long calendar, quotes from alumni, and descriptions of the CORE strengths. 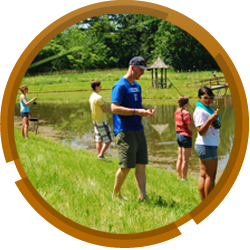 Click on the course book above to download. 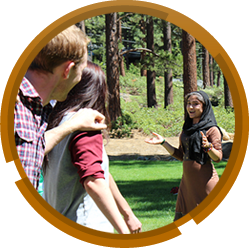 We are happy to announce that our MiddCORE Summer Immersion 2015 Application is now open. 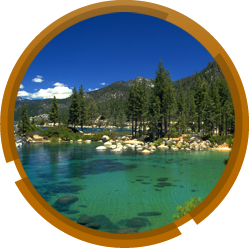 The Summer 2015 MiddCORE Program will be held on the shores of Lake Tahoe from July 11 – August 8. 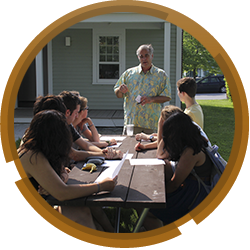 MiddCORE is for highly motivated college students and recent college graduates who have a desire to build leadership and communication skills while developing an entrepreneurial mindset. 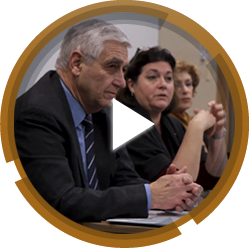 Students should be comfortable in collaborative settings and be prepared for forty hours a week of impact-focused, project-based learning. Sometimes we forget that life is good. 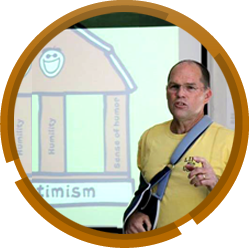 After only a weekend to embody the Life is good super powers of WISDOM, COURAGE, FUN, SIMPLICITY, AUTHENTICITY, CREATIVITY, COMPASSION, GRATITUDE, HUMOR AND LOVE students illustrated how life is good to mentor Roy Heffernan, Chief Operating Optimist of Life is good. Increasing emotional intelligence is possible through improved self awareness, self management, social awareness, and relationship management. 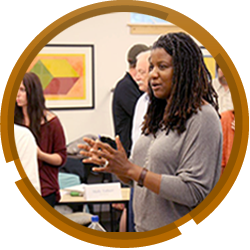 Leslie Schreiber, founder of Schreiber Training, guided the students through both physical and verbal activities to better understand how to understand and improve their aspects of emotional intelligence. 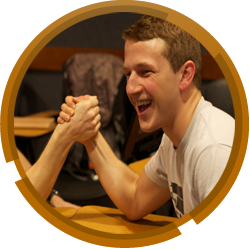 Alec MacMillen said of the session, “Personal and social awareness are only as valuable as the actions they inspire. 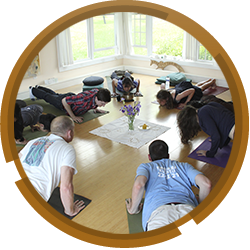 You can be the most observant and aware person in the world, but it means nothing unless you can translate that knowledge into self-regulation and relationship management.” Later that afternoon, students traveled to Metta Earth Institute, where they focused on intentionality and focus through yoga and meditation. Chessy Kelley led the session, encouraging students to clear their minds and prioritize their values. “It is impossible to talk about the single story without talking about POWER.” – Chimamanda Adichie Tara Affolter opened her session last Friday with Chimamanda Achidie’s TEDtalk, The Danger of A Single Story. 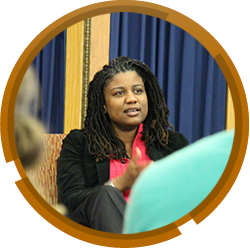 “Why does this matter?” Tara asked the students, “We come to places like Middlebury with a story of who we are, what our family’s expectations are like, all sorts of influences and impacts; yet we are dropped mid-stream into this place. College lets us start to remake oursevlves, but that history shapes who we are and how we see the world. Without access to a larger picture the story told about us and the story we tell about others is limited.” During the session Tara challenged students: “Consider the stories that you were told about race, class, stories that were told about you and stories you were told about how to be a success…. 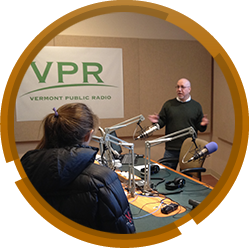 On Tuesday, MiddCORE headed up to Vermont Public Radio for a field trip to work with Jane Lindholm, host of VPR’s noontime Vermont Edition, on the interviewing process. The show seems to run effortlessly, but students soon learned that behind the scenes an orchestrated team fields calls, sets up questions, and feeds IM messages to Lindholm all as she articulates thoughtful questions and listens to the interviewee and callers. After Lindholm wrapped up Tuesday’s Vermont Edition on revenue generated from break open tickets, rodent poisons, and curling, she spent about two hours helping MiddCORE students understand what makes for a good interview. 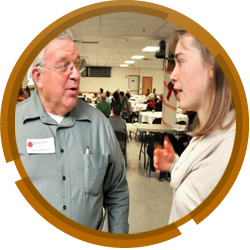 She demonstrated an interview with Hugh Marlow, and the students had the opportunity to dissect and discuss the process. Lindholm also talked to MiddCORE students about the most relevant interview they often face: the job interview. Her number one suggestion for all interviewees is to be honest…. “You are the instrument: your body, your voice- and today is about tuning that instrument.” MiddCORE persuasive communication educator Mike Kiernan opens. Today students worked to explore more of their natural style in persuasive communication. Working with text developed in the class, students examine the art of connecting: it is all about moving from Self-Consciousness to Other-Consciousness. Everything about the design and delivery of a presentation should be centered on an understanding of the perceptual apparatus and the psychological state of your listener. 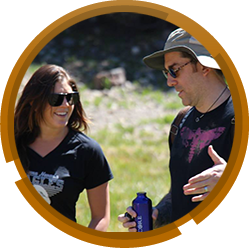 Whether it’s developing sweet savories from local producers or creating energy bars made out of crickets, MiddCORE 2012 Alumni are continuing to further their enterprises that launched almost a year ago in MiddCORE during the Innovation Challenge! Read about Suzanne Calhoun of Suzanne’s Sweet Savories in the Addison Independent, who has packaged and sold hundreds of jars of savory spread. 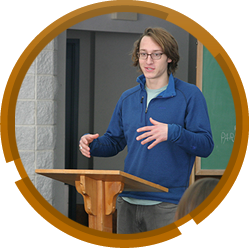 You can also read about Alex Bea’s mission to fight world hunger via his company Jiminy in the Middlebury Campus. Keep up the good work! Mark your calendars: the application for MiddCORE at Sierra Nevada College will be available on November 15th! 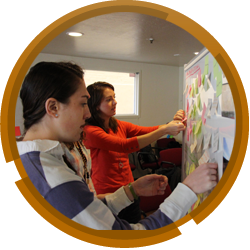 We invite students and recent graduates from any institution to apply to join us this summer on Lake Tahoe. As the application opening draws nearer, our Outreach Assistant Astrid is getting ready to travel to colleges all over the country to recruit prospective students. She will lead information sessions about MiddCORE SNC and conduct interviews for interested candidates. Stay tuned for an info session on your campus! You can read the full press release from Middlebury College here. 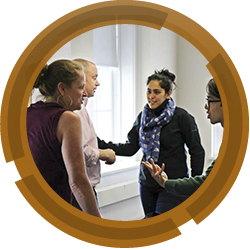 This fall MiddCORE hosted four fabulous workshops: Persuasive Communication, Storymaking, Negotiation, and Activating Empathy (co-sponsored by the Center for Social Entrepreneurship). We were blown away by the mentors that led mini-MiddCORE sessions this fall, but don’t take our word for it! 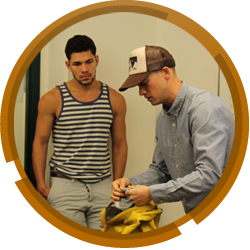 See what our participants had to say… “Could this workshop be offered again? Or on a more permanent basis?” “That type of learning is exactly what I’ve been yearning for at Middlebury…” “Really fascinating and interesting learning experience!” “MiddCORE seems like the missing piece that I have been searching for in my Middlebury education – and I know I would be lucky to be able to be a part of the program this January.” Peter DiPrinzio ’13 competes with Jake Nonweiler ’14 in an arm wrestle as part of Paul Cramer‘s workshop on negotiation. “Be Useful!” said the Queen of Twitter. Laura Fitton, Marketing Evangelist at Hubspot shared this bit of advice during our last stop at the inbound marketing firm in Cambridge, MA. Fitton, also known as @Pistachio, authored Twitter for Dummies and has influenced thought leaders like Guy Kawasaki, Seth Gowdin, Penelope Trunk and others on the benefits of using twitter. Here are some snippets of wisdom from @Pistachio on tweeting and inbound marketing strategies: “Influence (was) attract attention to yourself. 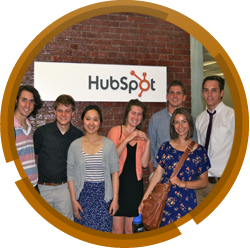 Influence (is) provide attention and value to others.” “Make your customer the hero of your story.” MiddCOREplus Students outside of HubSpot. After touring HubSpot, talking with @Pistachio, and meeting with the Talent Management Executive David Fernandez, students sat in the audience during HubSpot’s filming of their weekly marketing update. The topic – Sexting Redefined and McHonesty Wins the Day.